Draping bunting in your reception room or outside between trees or lampposts adds a real touch of romance to your wedding day. Outside the bunting catches the eye and flutters in the breeze and indoors it adds a real talking point to the space. 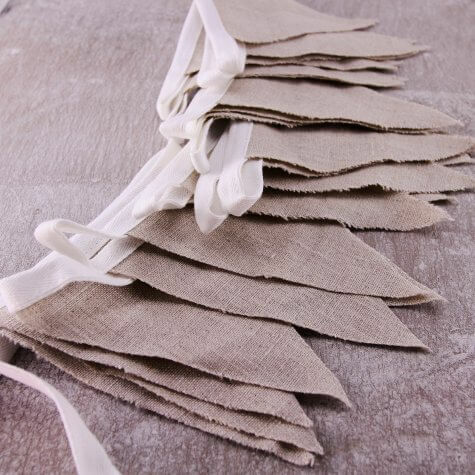 We have all types of bunting from traditional fabric and paper flags to bunting that can be used to create your table plan or even decorate your wedding cake. From cute little cake bunting to hessian bunting, DIY bunting, fabric bunting, text bunting and gorgeous lacy bunting you'll definitely find bunting suitable for your wedding or party venue. Restricted by the length of the bunting? Make bunting as long as you want with our individual bunting flags. We've found using 10mm organza ribbon is great as it seems to 'grip the flags really well and they stay in position better. 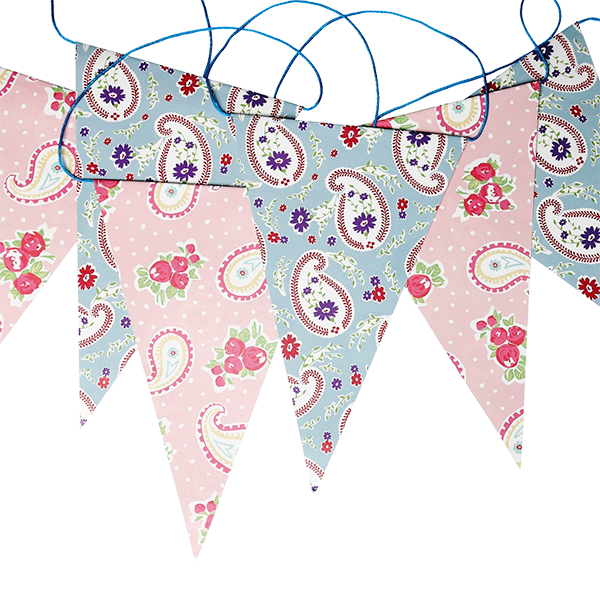 Everyone loves bunting for indoor and outdoor celebrations so enjoy this department and the lovely bunting, both the miniature and the full size!